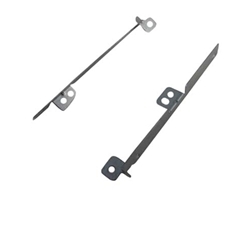 New Acer Aspire ES1-511 ES1-520 ES1-521 ES1-522 Laptop Hard Drive Brackets 9.5"
Home → Laptop Parts Other → Acer Aspire ES1-511 ES1-520 ES1-521 ES1-522 Hard Drive Brackets 9.5"
Acer Aspire ES1-511 ES1-520 ES1-521 ES1-522 Hard Drive Brackets 9.5"
Description: New genuine Acer laptop hard drive brackets 9.5". This hdd bracket only works with select models and the screws are not included. Compatible Part #'s: 33.MMLN2.005, 33.MMLN2.006, EC16G000400, EC16G000500.